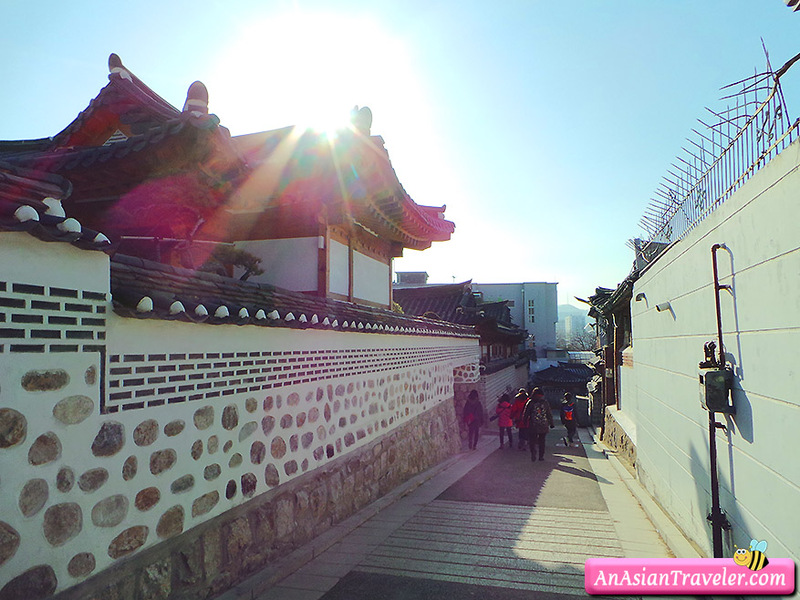 Our next stop is Bukchon Hanok Village, which is actually quite a long walk from Changdeokgung Palace. Most areas are filled with narrow alleys and some with uphill roads so prepare yourself physically. 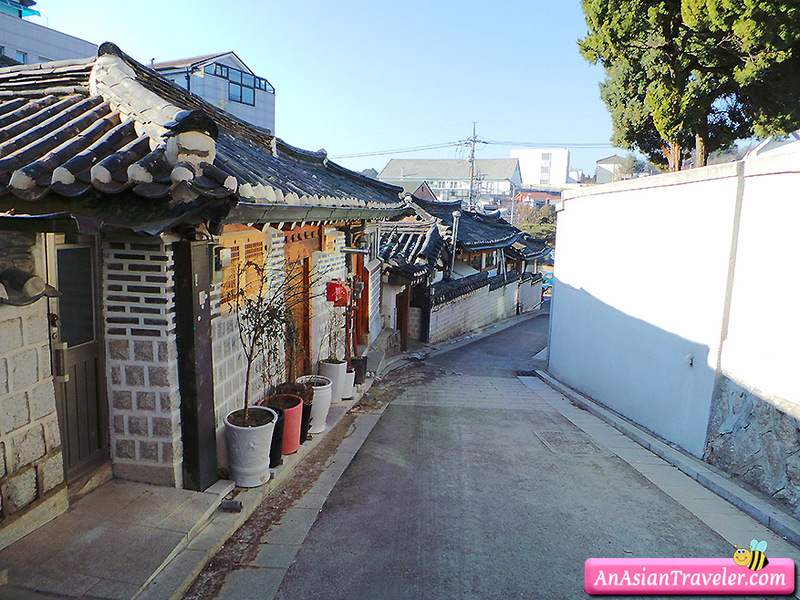 It's the only place in Seoul where hundreds of Hanoks (Traditional Korean Houses) are clustered together. 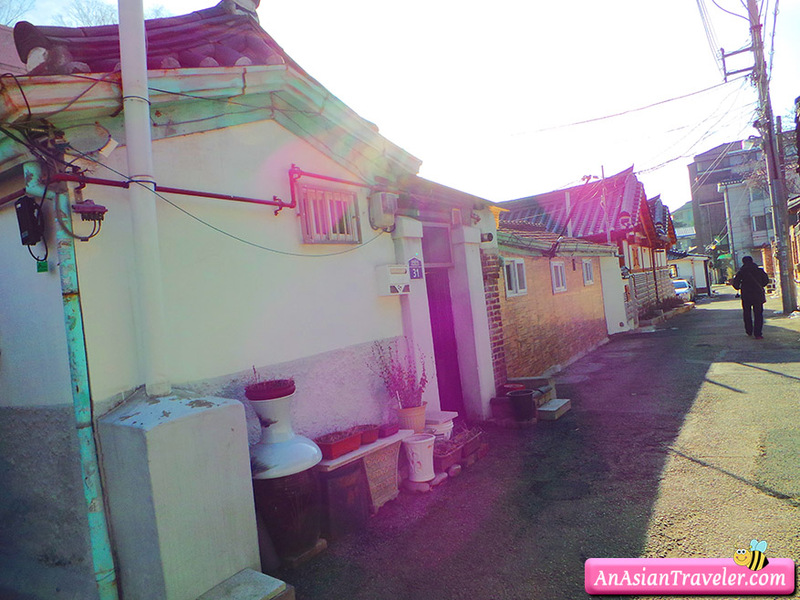 It is said that the reason there are so many traditional houses in this area is that many people from the ruling class lived here during the Joseon Dynasty (1392-1910). There are museums, workshop, hanok guesthouses and culture centers but we didn't pop into any of these. 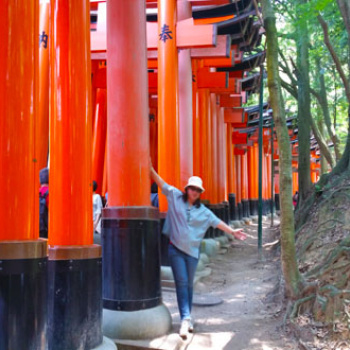 This neighborhood is not a tourist attraction but a quiet residential area. Visitors should be considerate of residents here when touring around the area.